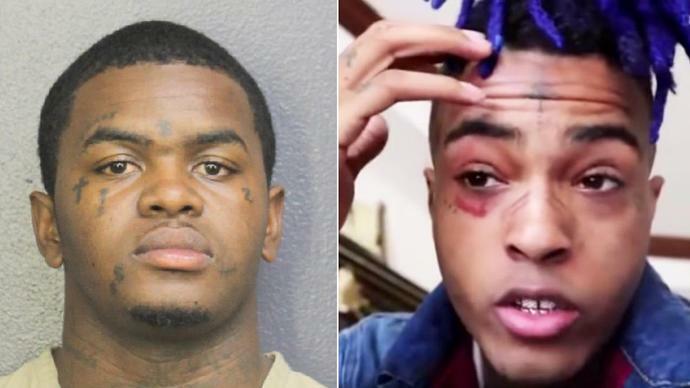 Police have detained a suspect in the murder of beloved rapper XXXTentacion, and additional arrests may be on the way. Dedrick Devonshay Williams was taken into custody Wednesday night in Pompano, Fla., according to the Broward County Sheriff's Office. Williams was arrested after his 2004 Honda Accord was pulled over by officers, according to the arrest report released by the sheriff's office, which noted that he does not have an active driver's license. Two other arrest warrants have been signed by a judge, but those suspects have not yet been apprehended, TMZ reported. Born Jahseh Onfroy, XXXTentacion was shot by at least one armed subject outside RIVA Motorsports in Deerfield Beach Monday in what was initially classified as an apparent robbery, according to authorities. The suspects fled the scene in a dark-colored SUV. The rapper was later pronounced dead at Broward Health North. While his unique brand of hip-hop was widely admired, XXXTentacion was also a polarizing figure due to unresolved allegations that he beat his pregnant girlfriend. Williams is due in court Thursday, according to reports.